Since the tradition of drinking coffee at one’s leisure has long become passé, people usually want to bring their caffeine fix along with them. This has spawned a huge sub-industry of coffee lids, 100 billion a year of which are produced to sate everyone’s Starbucks habit. Seen up north are a new line of coffee lids from Mint Urban Technologies that are supposed to improve the drinking experience. This is achieved through aroma, synonymous with bouquet, to describe the general practice of savoring the coffee before it’s sipped. Currently available in two versions, the Aroma Lids are actually the result of a clever production method. The idea is to glaze a regular plastic coffee lid with a special layer of fragrant material. When it’s heated the resulting aroma influences the overall taste, thereby improving the coffee drinking. 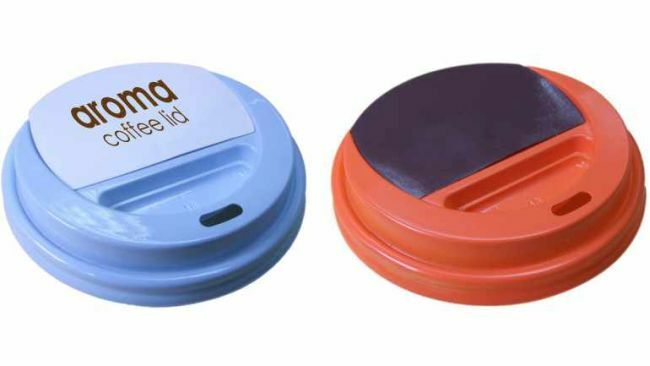 The Aroma Lids are now available to coffee outlets and retailers in either of its incarnations. There are generic aromatic lids and then another alternative suitable for branding. The next time you buy coffee, make sure to sniff the lid first as you might be drinking from one of these.